Booking a hotel for holiday or business travel can be a very daunting task, particularly if you are on a tight budget. Finding a hotel that provides all the facilities that you need within your price range can be a tedious and time consuming job. 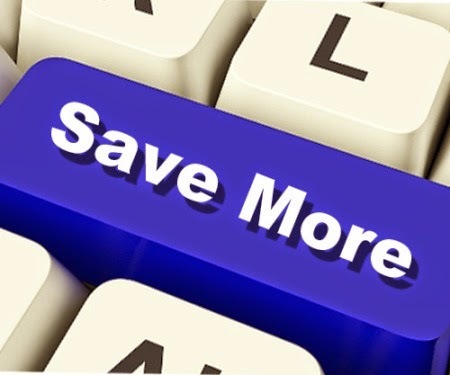 Here we have some tips that will help you cut the cost of your hotel booking. The most important thing to do at first is to decide what your budget is. For example, if you are on a business trip you may need to have access to conference call facilities or fast, reliable Wi-Fi access, so it is always advisable to decide what you need first off and narrow down your search by looking only at hotels that meet your specific needs and that fall within your budget. shuttle service (either to and from the airport or even into the city centre or to the beach), free phone calls and Wi-Fi, use of gym/ spa, office facilities etc. Compare the price that you are quoted and the facilities offered with similar hotels to see which offers the best value for money. Don't forget that the cheapest price is not always the best value and may not include many important and chargeable extras. Almost every hotel runs early bird offers or special deals for times when they are not busy. For example, business hotels are generally quieter and have more availability (more availability = better prices) at weekends or during public holidays. Conversely, leisure and city centre/ tourist hotels will be busier during these periods. Plan your holiday as far in advance as you can (preferably at least two to three months before for leisure travel) as it may save you a considerable amount of money. Most hotels change their tariff every month or according to the season (high, low, shoulder season etc.) so if you don't have to travel in high season, you may well save a considerable amount of money by looking at alternative dates. Hotels near the city centre are almost always much more expensive when compared to hotels further out. If you have to be in the city centre (for example for a meeting or if you are only going to be staying a very short time), then you can expect to pay signifcantly more than a hotel in the suburbs or one at the airport or exhibition centre. If budget is an issue and you are staying for more than a couple of nights, check the prices further out from the centre and whether these hotels are well connected by transport links to the city centre. For example, you may find that a ten minute metro or bus ride into the city centre gets you a considerably cheaper hotel where you will get far more for your money. You may also find that it offers the bonus of being quieter in the evenings and you could even discover a part of the city that you might not otherwise get to see. It may seem a strange suggestion but if you have any contacts e.g. friends (or friends of friends) or relatives that work in the hotel industry (especially in branded hotels that are part of a chain of hotels and have more than one property in your desired destination) you may get a significant discount – perhaps up to 50% off of the normal tariff. Almost every hotel has some special discount for their employees and their families and you may be able to get access to this discount. It is very important to compare any prices that you find with other similar hotels and with other prices available for that particular hotel. There are many price comparison websites that will be able to help you compare like for like prices for any given hotel or destination. These sites get their prices directly from hotels or via travel agents such as Tickets to India which has specially negotiated prices and which most of the time will have rates lower than with the hotel directly. There are many deal/ voucher sourcing websites such as vouchercodes.co.uk that collect and display deals from different websites. These deals can be in the form of cash discounts, cash-back offers, discount coupons etc. Simply visit one of these sites and search for deals on your desired hotel and redeem it on the hotel's website. Alternatively, do a search on a search engine for discount codes for your preferred hotel. Don't forget that some websites provide discounts or cash back on certain credit and debit cards. If you have decided on a particular hotel, it may be worth contacting the hotel directly. Rates are not set in stone and there are many hotels that will allow negotiation on price (assuming you are speaking to the right person e.g. the sales team) which could save you some money – particularly if you are a frequent visitor to that hotel or if you are staying for an extended period. To strengthen your bargaining position, it is worth doing your homework and checking the prices or nearby cheaper hotels. Many hotels would rather have your business for a lower than advertised price (particularly during slow periods) than have no business at all. It is also possible that when you can't find availability for your hotel online, they may have access to more capacity. If you are a frequent traveller this option may help you to save a lot of money as well as giving you access to more services and facilities. Many travel agencies run loyalty programmes for loyal and repeat customers – for example, www.ticketstoindia.co.uk offers a flat £10 off of any second booking. Similarly booking.com’s “Booking Genius” scheme provides special offers and discounts to loyal customers. If you are returning to the same hotel (or booking a hotel via a travel agency where you booked your hotel last time) check whether they have a loyalty programme – if they do, join up! It is almost always cheaper to book a flight and hotel together instead of booking separately. This is because travel agents use “nett” rates which are considerably cheaper than the published rates when used as part of a package. There are many, many online and offline travel agencies who provide flight and hotel packages. Delete your browser history or active incognito mode before searching hotel or flights from booking engine may give you a cheaper price.